CoFestival is three festivals in one: modul-dance, Ukrep and Pleskavica. Under the title The Art of Coliving, Kino Šiška Ljubljana presents its second edition, that will take place from 17th to 21th June and from 21th to 27th September. Under the umbrella of the modul-dance project, the event will open with Marcos Morau/La Veronal and their recently premiered Siena, a reflection on the conception of the human body, used by the artists as a container and projector of meanings, as well as an exploration of the history of Italian art in a journey that begins in the Renaissance (17 June). Mixing digital arts, urban and traditional dances lil’dragon, piece of the modul-dance selected artist Eric Minh Cuong Castaing, will propose a sensory experience toward a feeling of future, physical and imperceptible (20 June). The program also includes a new edition of the ShortDanceFilms, a film screenings curated by Núria Font/Nu2’s (18 June). 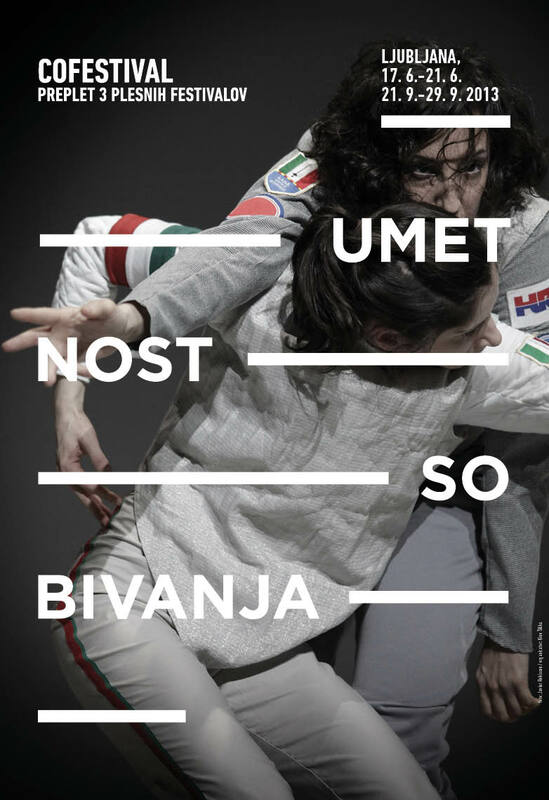 In September, one of the last modul-dance selected artists, Jurij Konjar will premiere in Slovenia his new piece Still. Read here the complete programme, which includes not only dance, but also workshops, theatre and dj sessions. On September 2011, Frauke Requardt wrote this text about her experience as modul-dance artist. Creating Episode was an incredible rich learning experience to me. It has been the first piece of work as the sole director following on from three collaborations of different kinds. To be the only one who calls the shots, to be the one who’s vision is the centre motivation is a responsibility and a joy much different from sharing this position. It was a great reminder of what it is that I deeply care for in my art and also a pleasant surprise as I acknowledged the growth from these previous joined experiences coming into play when directing solely.